Connecticut artist Holly Whiting works in both traditional and unexpected media. 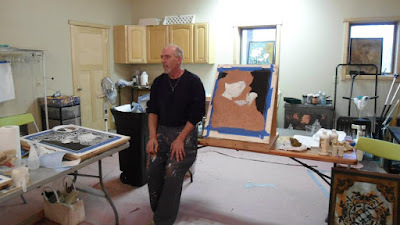 Her work often incorporates not only acrylics, watercolors, and pastel, but plasters, mica, gold leaf, and oxidized iron. Among her favorite subjects are animals of all kinds, and particularly birds. 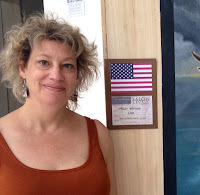 Holly is the owner of Artistic Finishes, a decorative painting company specializing in murals, exotic faux finishes, decorative plaster, and relief sculpture. Her “Brush with Art” events take you through all the steps to create an original painting, all while enjoying wine with friends. Holly is a member of the international decorative artists’ summit called Salon. 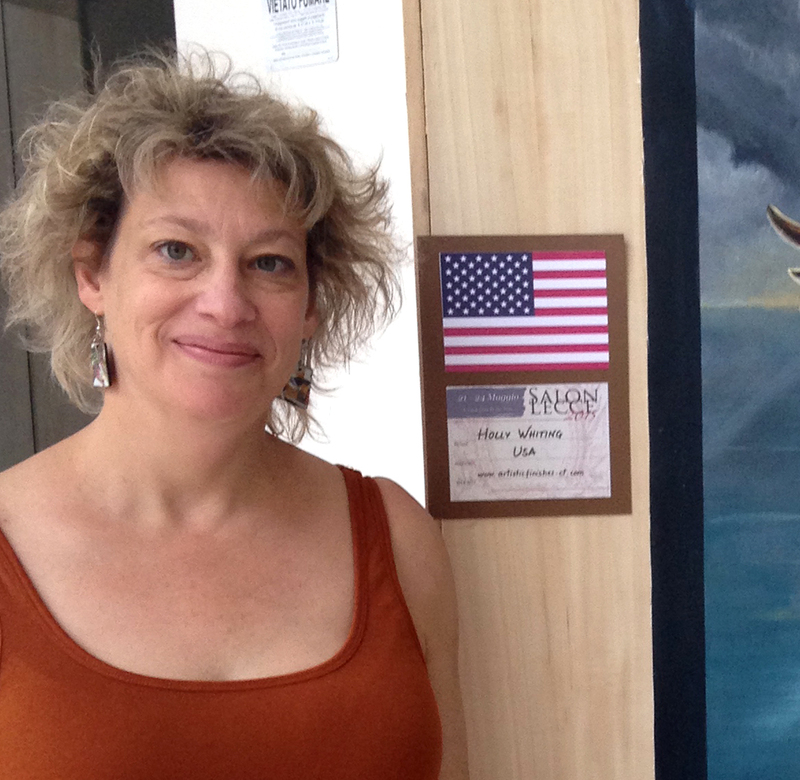 The most recent Salon took place in Lecce, Italy, in May, 2015, where Holly exhibited and demonstrated alongside some of the world’s most talented decorative artists. Locally, Holly has worked on many civic and community projects, including Yale University Art Gallery, Prospect House Women’s Shelter, United Way, Hamden High School, and the Beecher Museum School, among others. As owner of Artistic Finishes, Holly has been called on to personalize the Greenwich home of Judith (Judge Judy) Sheindlin, and to create custom finishes for the historic home of Maureen Walsh, owner of the Pyrianos Collection of fine restored Steinway pianos. She has contributed to stage sets, such as 2009’s production of Ragtime at the Kennedy Center in Washington D.C., and has provided expert restoration services, including gold leaf gilding, to churches and other institutions. Many of her paintings are available as prints, cards and other items on Fine Art America. Join Holly at the ArtFusion Event in October 2016. 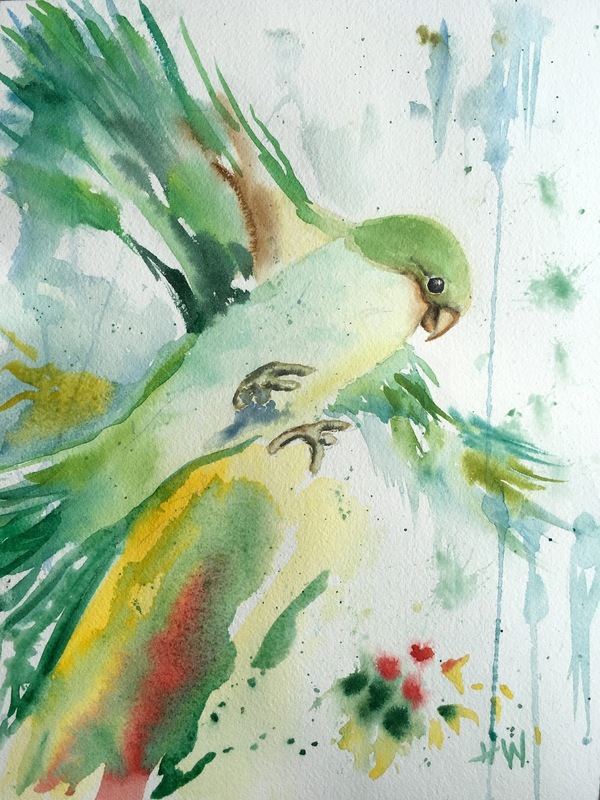 Holly will be teaching a watercolor class. For more information go to click here.